When we mentioned some of our older DIY’s for babies last week we were shocked at how many of you hadn’t seen them before! We wanted to do a quick repost of some of our favorite ideas for recycling and upcycling for your new baby. These make awesome shower and hospital gifts and are all under a few bucks each. 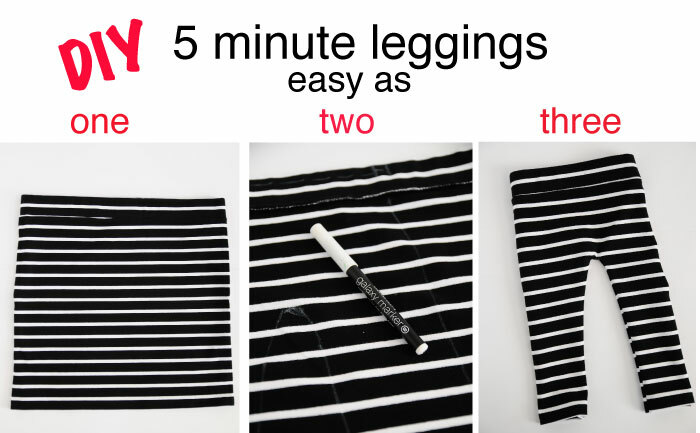 First off, The Five Minute legging! 1. Take a body-con skirt (these are on sale and come in a bunch of colors!) and turn it inside out. 2. Using a fabric pencil or chalk draw up the leg making an inverted “U” for the crotch area. 3.Then take your sewing machine and sew over the white line you just drew. Cut the excess off and flip it right side out. Seriously, you’re done. 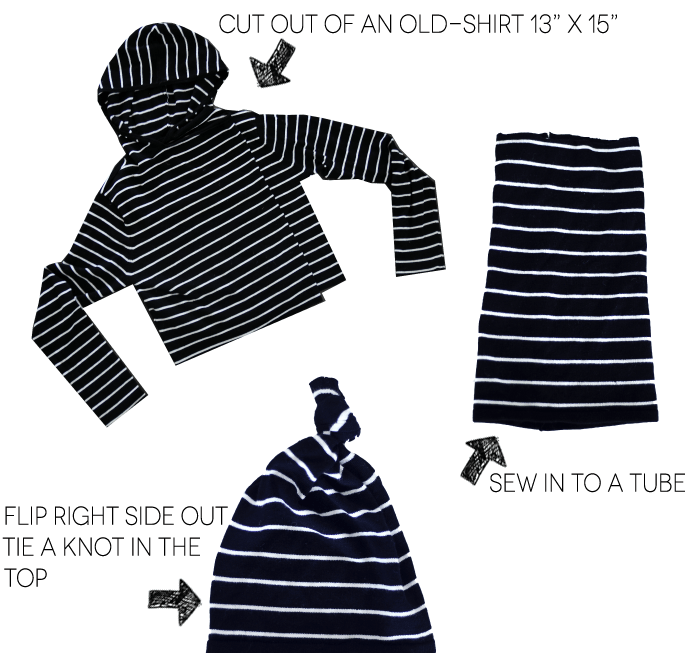 Find more wardrobe hacks for babies and kiddos right here! Oh man, I remember making so many of these when Oliver was a baby!! Now he turns two this Friday! Wah!!! The leggings are so cute! Does the inseam feel itchy against their legs though? I’m trying to picture how these will turn out…do you have a picture of the finished product inside out?